Hear some of my playing here! John started playing the electric guitar when he was 12 years old. Right away he started taking rock/blues instruction with professional guitarist, Dom Mandrafina. Following working efficiently with Dom, John started working privately with famous touring blues artist Bobby Messano (http://www.bobbymessano.com). As guitarist in a school with no guitar in the music program John still managed to find ways to get involved. Once he started to realize that he wanted to be a professional guitarist he made even more of an effort to further his education and attended the Berklee College of Music Summer Sessions Guitar week. While there he worked on his blues playing working with highly respected guitarist and Berklee faculty, Tomo Fujita (http://www.tomofujita.com/eng/). Upon arrival John was informed he was one of the 200 students out of 2,000 to receive a scholarship audition. Since then John has played for a numerous amounts of bands, theater productions, recording projects, live performances, and more. A few years before college John started studying the classical guitar. Soon after he started performing publicly on the classical guitar in small recitals and events. In his early studies he took master classes with famous guitarists Scott Tennant, and Jorge Caballero at the Mannes School of Music in NYC. When it came time for college John made the decision to study the classical guitar. 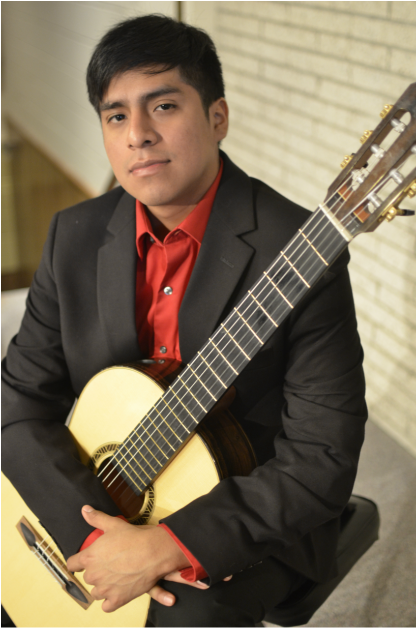 After receiving his undergraduate Bachelor's in Music from The John J Cali School of Music in Montclair NJ John went on to pursue his Master’s degree in classical guitar at the renowned Hartt School of Music. While at the Hartt School John studied guitar privately, as well as chamber music, with award winning guitarist Christopher Ladd, and renowned guitar pedagog, Richard Provost. Throughout his time as a student John has performed concerts, solo and ensemble based, around the tri-state area and abroad. Some of most notable places include; The Alexander Kasser Theater, Berkman Recital Hall, The Mannes School of Music, Lima Peru, and the famous Trumpets Jazz Club. Outside of concerts John also frequently makes performances for weddings, private parties, art openings, and more on the classical/spanish guitar. Currently John works as a professional guitarist in the Tri-State Music Scene. With strong a background in classical and contemporary music John is versatile enough to take on numerous styles of music. These experiences have taken John to playing on Bach Celebration Concerts, chamber music concert series, hosting blues jams, playing for numerous upscale weddings, auditioning for America’s Got Talent with his own band, playing for musicals of numerous genres, and being a session guitarist for multiple upcoming recordings. Outside of playing for; weddings, private parties, restaurants, art openings, rock/pop band, and solo guitar concerts John also teaches private guitar lessons for students of all ages and playing levels! lessons available for: classical, electric, and acoustic guitar. Contact John to find out more! Separate lesson page coming soon!